Panderbear recently reread the King James version of the Holy Bible with an eye toward its possible relevance to the formulation of effective value-based public policy. Below, in the form of a book review, are Panderbear's first impressions and conclusions. 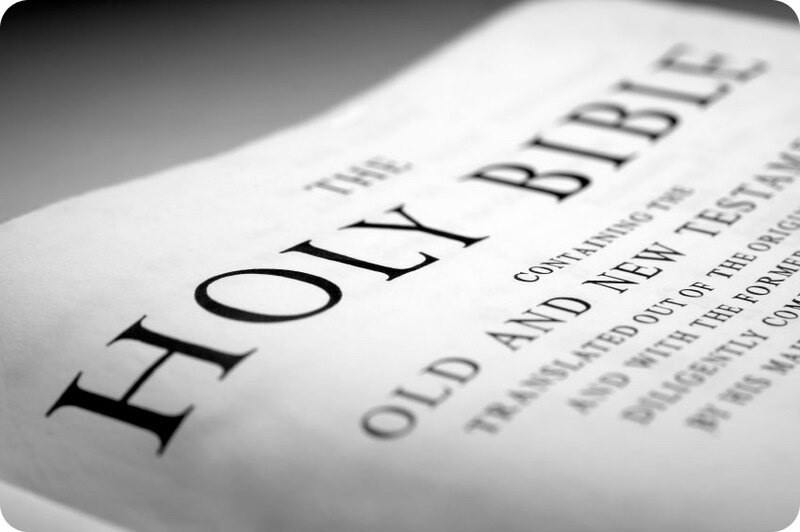 Bible as Literature: Its religious significance aside, the Bible utterly fails as a work of literature. 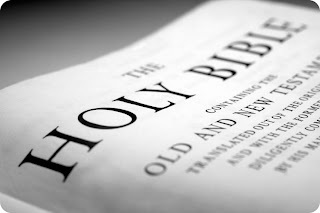 Precious few passages rise to the level of John 3:16 or the 23rd Psalm. It turns out that Panderbear was already familiar with the good bits. Much of the rest was a tough slog and a trial of perseverance. Old Testament: An alternative history replete with depictions of incidents of appalling carnage separated by vast wastelands of repetitive, nearly content free verbosity. Panderbear is not really criticizing the OT on the grounds of excessive violence, but perhaps it should be rated PG-13. With all the smoting going on, the OT is at least as violent as any first-person shooter video game and equally inappropriate as a basis for domestic public policy or foreign affairs. New Testament: Much the same as the OT with the carnage reduced to a more human scale. The protagonist in the OT was an erratic and terrible God the Creator, while the NT features Jesus Christ, a far more sympathetic, if irasable, figure. One lesson here is that change is not always a thing to be feared. It can be a good thing. Personal Reflection: The dismal prospect of suffering through all eternity in a Hell of fire and brimstone pales in comparison with Panderbear's abject terror of being condemned to a Heaven of infinite, unremitting bliss and the everlasting tyranny of a jealous, capricious, and insufferably vainglorious God. (Are bliss and tyranny compatible?) Perhaps the relative merits of heaven versus oblivion should have been played up a bit more. In any event Panderbear thinks good public policy must take into account a diversity of views regarding desirable policy goals. Jesus the Man and His Politics: The New Testament Jesus was neither politically nor socially conservative. He was a Jew, a revolutionary, and a heretic. That's what got him crucified. Jesus loved and ministered to the wretched poor while holding the rich and powerful under suspicion and often in contempt. He dispensed free medical care in the form of miracle cures. He fed the hungry and clothed the naked - more miracles. Jesus neither blamed nor despised the less fortunate for their diminished circumstances. Christians vs Christ: Jesus was in many respects the polar opposite of those who today self-identify as conservative Christians. No doubt today's Religious Right can cite chapter and verse to support their conservative views. After all there is plenty of fodder in the New Testament to bolster almost any argument. But those who search out particular passages in the Holy Bible as confirmation of their personal conservative biases are missing the forest for the trees. The big picture of the man Jesus of Nazareth is that he was, in context, a liberal activist who loved and uplifted the downtrodden. Far too many modern Christians are anything but Christ-like. Mahatma Ghandi said, “I like your Christ, I do not like your Christians. Your Christians are so unlike your Christ.” Amen to that. Recommendation: A must read for lovers of antiquarian history and Christians who aspire to leave hypocrisy behind. You can get it free online. Panderbear thinks that Christ's liberal activism and uplift of the downtrodden can positively inform the formulation of humane and rational public policy, even though the intolerance and magical-thinking inspired political agenda of today's Religious Right cannot. America's bipolar two-party political system is a zero-sum game. One party's gain is the other's loss. As moderates have been systematically eliminated from the ranks of Republican Party officeholders for lack of ideological purity, the GOP has moved dramatically to the political right. 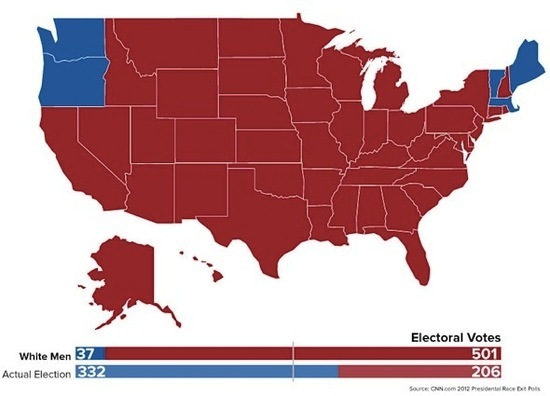 Republicans have lost the popular vote in 5 of the last 6 presidential contests. In 2012 they failed to take the presidency or the U.S. Senate. They even lost the total popular vote for the House of Representatives, only retaining their majority in that body due to gerrymandering of Congressional districts following the 2010 census. Apparently they have veered too far right to remain competitive in most races for national offices. Ever since the advent of President Nixon's cynical and divisive Southern Strategy, Republican victories have depended on winning an overwhelming majority of white male votes. They pursued this demographic by systematically targeting and demonizing one out-group after another. Their policies have been consistently anti-minority, anti-women, anti-gay, and anti-poor. Unfortunately for Republicans that strategy has run headlong into the wall of changing demographics. The gender gap favoring Democrats combined with overwhelming majorities among black, latino, and LGBT voters, groups that are growing as a percentage of the electorate, have doomed the Republican divide-and-conquer strategy. 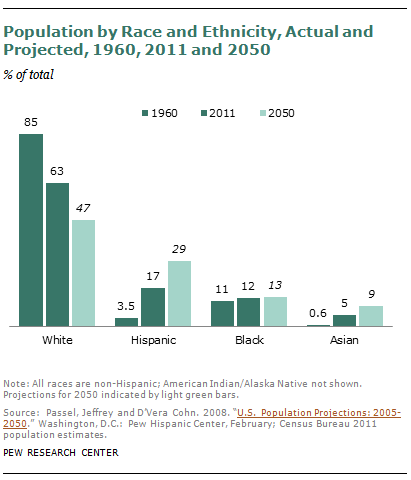 By 2050 white Americans will be just another minority. Republican policies must embrace the concerns of these groups or the GOP is doomed. Panderbear prays that the GOP hews to its current policies and goes the way of the Whigs. The conservative movement has been an anchor preventing America from sailing forward to address the challenges of the future for far too long. To the extent that they have succeeded Republicans have depended on fear and xenophobia in a white male demographic that is shrinking. The GOP's options are to return to the more moderate, more inclusive, more progressive policies they supported 50 years ago or to die. Like it or not, that's the choice conservatives face. Now that the Presidential political campaigns are well underway, indeed only weeks remain until its conclusion, Panderbear decided it was time to review where the candidates, President Obama and Governor Romney, stand with regard to their respective Truth Quotients (TQ). Panderbear speculated in previous posts that as the contest proceeded the candidates would find it increasingly difficult to adhere to the truth. Well, it turns out that Panderbear was only half correct. The pressures of the campaign have indeed taken quite a toll on Mitt Romney's TQ. While a year ago Romney's veracity was a slight favorite over the toss of a coin (TQ a tad greater than 1), sadly he has steadily declined to a TQ of just 0.58. His disgracefully mendacious performance in the first presidential debate was no help at all. This is the pattern Panderbear expected. However, President Obama's current sterling TQ of 1.49 is almost exactly the same as it was in September of 2011. If you care which candidate is more truthful, the choice is clear. If you don't care who is telling the truth Panderbear respectfully requests that you refrain from voting. You're not helping. Note that the chart, as in previous posts, uses a logarithmic scale rather than linear. On a plot using a linear scale Romney's final TQ (0.58) would be much closer to the chain email data point (0.05) than to President Obama's (1.49). 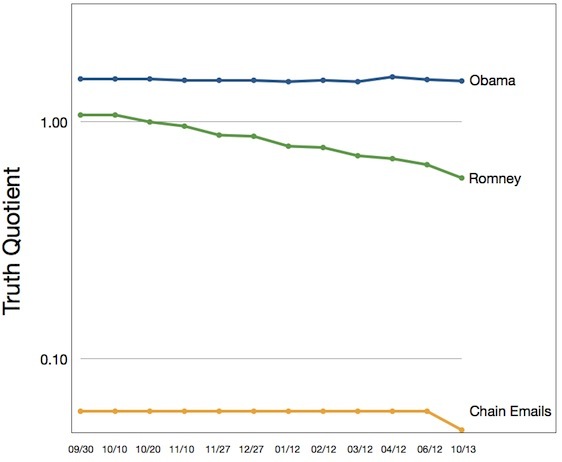 So Romney's performance has been even worse than it appears in the chart. As always the TQ for chain emails is truly dismal. If you bother to read chain emails, or worse yet forward them, for the love of God please stop. You are embarrassing yourself and misinforming other people. Just stop.